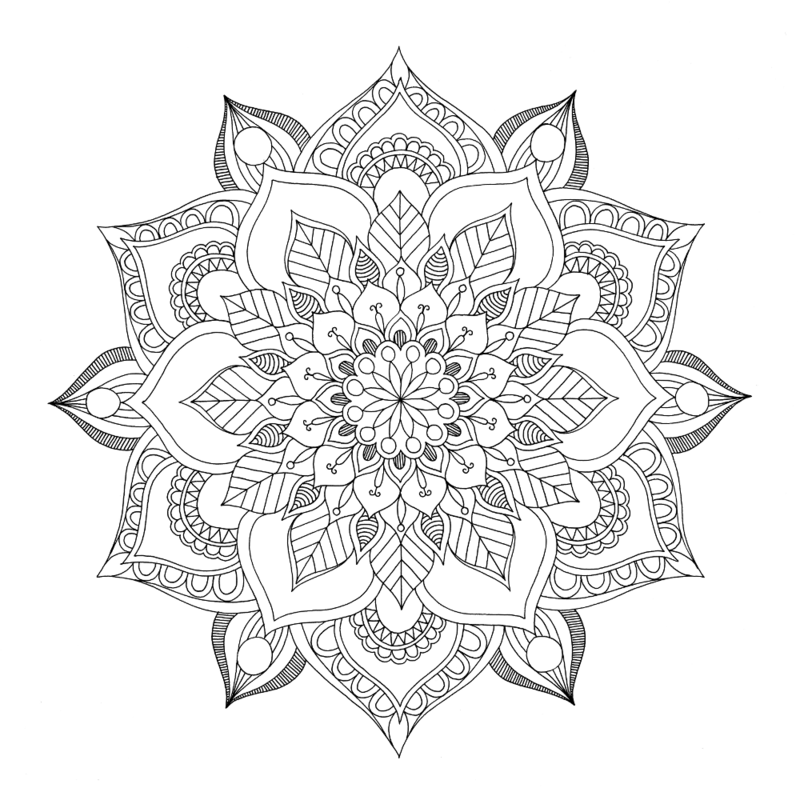 My Mindful Mandalas Colouring Book! 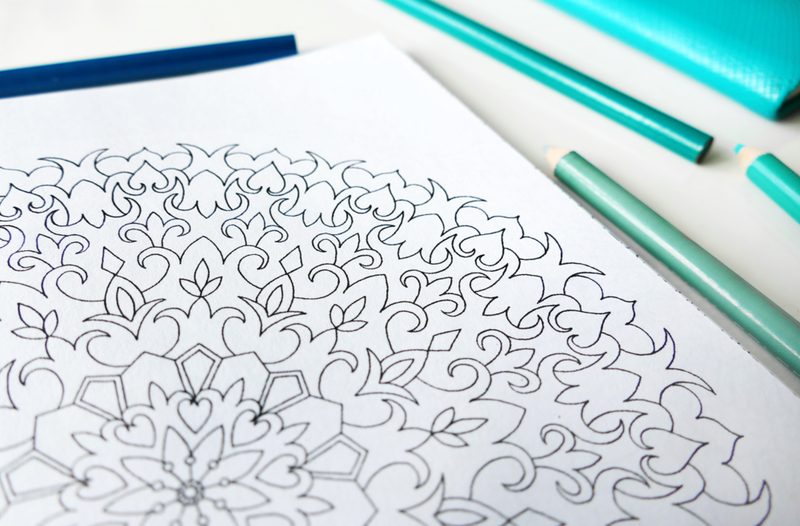 So excited to announce I have created my very own colouring book full of mandalas and lots more! It has been a roller coaster of a journey but I really hope you guys love it as much I enjoyed creating it. 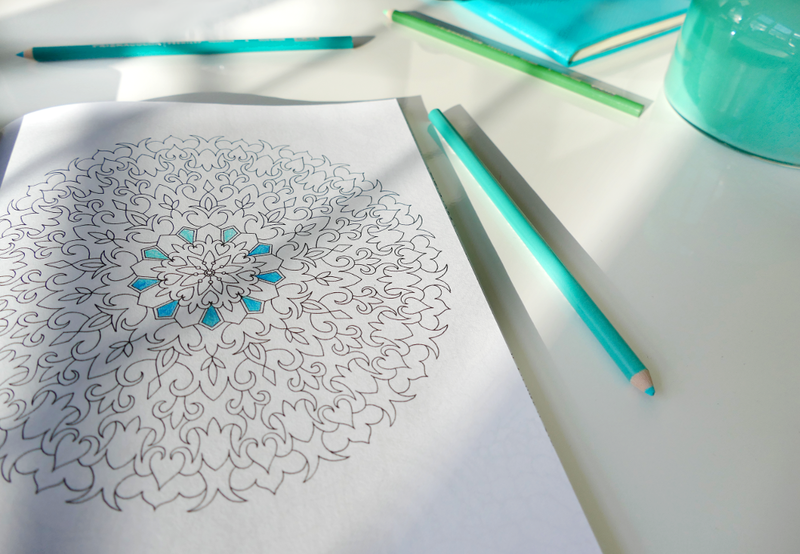 Mandalas have been used by many cultures as a way of meditating, originally created from sand and destroyed immediately after, it was actually the process itself that was considered a form of meditation. This book is full of symmetrical illustrations that focus on balance and harmony, inviting you into a tranquil world of lines to make your own. 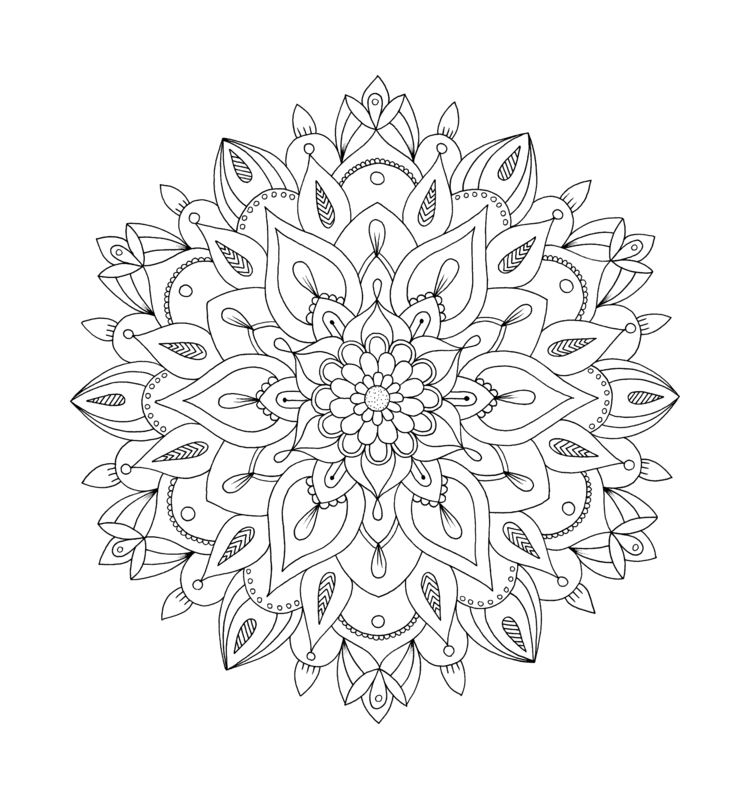 You can buy it anywhere in the world on Amazon: https://www.amazon.co.uk/dp/1527216233 - and if you do grab yourself one then I would appreciate it soooo much if you wrote a review :) you can also find it on Amazon by searching "Mindful Mandalas: A Colouring Book of Mandalas and More". FREE COLOURING DOWNLOAD - You can get started on your colouring journey by clicking here to download a free illustration from the book - make sure you are on a desktop or connected to a printer, all you need to do is right click and select "Save Image As", save the file to your computer and then print this image to start colouring straight away! As you will know I love to share the behind the scenes process so you can get to know the story a little better. 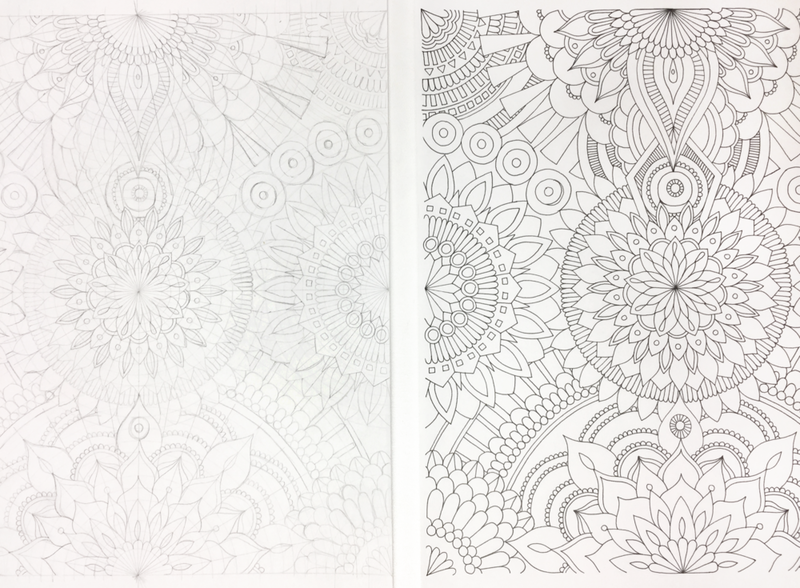 I first came across adult colouring back in 2014 when I was given Johanna Basford's Secret Garden by my dad for Christmas - at the time I thought this was a wonderful concept and I loved the illustrations but I never really considered creating a book myself. Fast forward a few years and people started asking me to create one, at first I dismissed the idea because colouring book illustrations were so different from the ones I do myself but eventually I decided to just try one illustration. My usual method for achieving perfect symmetry has been to draw light pencil gridlines across the page so that the key points in the illustration are in the same place on both sides. Most pencil lines get draw over but any remaining ones are rubbed out and cleaned up digitally. Now when I tried the same method for these colouring book illustrations I found that the linework with the pens I usually use - Pigma Microns - was fading as I rubbed out the pencil lines, you could see more of the pencil lines because less of the illustration was filled in. Big sigh. So then I tried a few different types of pens and was having no luck. So I went looking for some advice. If I am ever stuck there are two options: Google the question or go looking for answers from someone who has already done it. 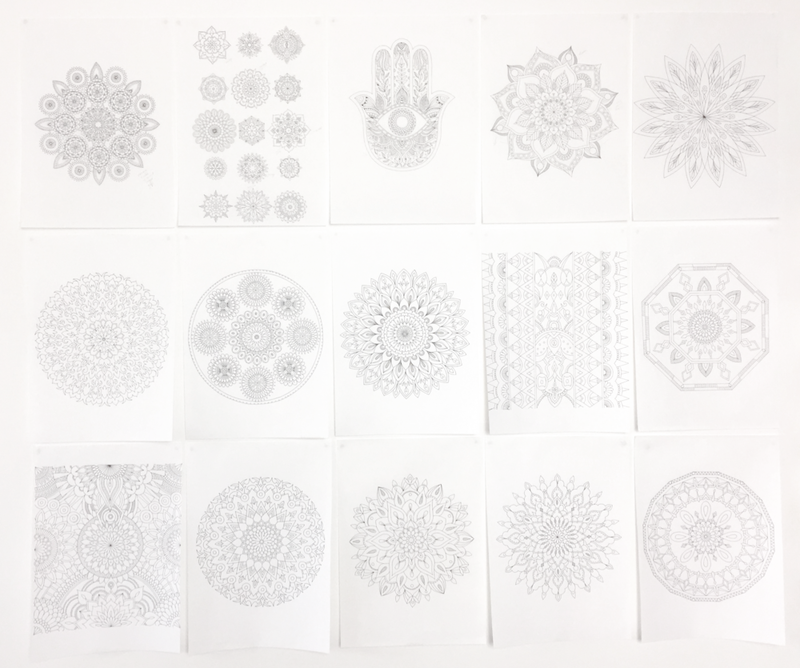 I went onto Johanna Basford's website (illustrator of the best selling adult colouring books) in search of some possible answers and there I found a blog post all about how she draws the illustrations for her colouring books (annoyingly I can't find the post I originally read!). 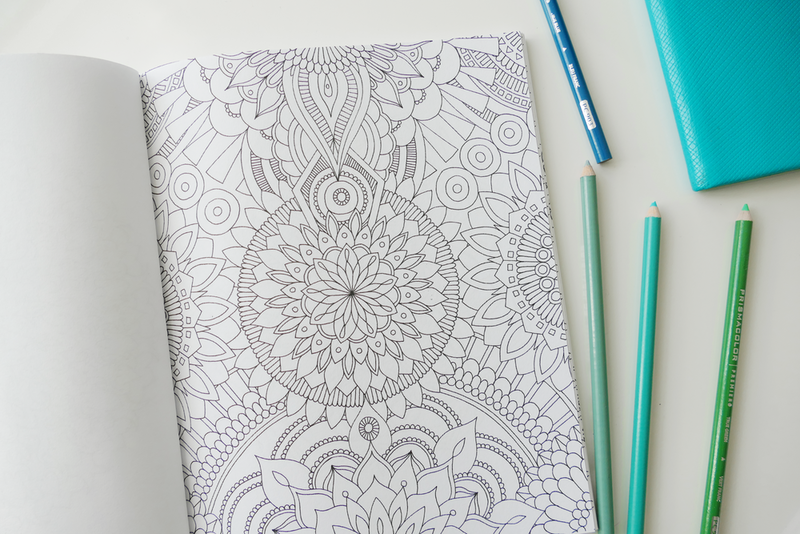 Firstly she was using Staedtler Fineliners to illustrate her colouring book images and so I gave these a try - they are the perfect pens for this sort of thing, the lines are so clean and there is hardly any smudging. 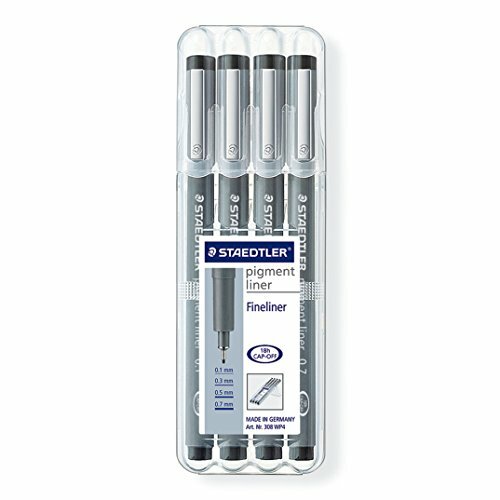 I have included the link to the pens so you can give them a try yourself - they aren't great for shading or getting really intricate details but they are perfect for when you want smooth sharp lines. I used mainly the 005 and 01 size. Anyway she would draw out the whole illustration in pencil and then place this on a lightbox/tracebox (basically a flat box emitting a bright white light that you can attach your paper to) with a fresh piece of paper on top so she could see the pencil lines perfectly without having them on the actual paper - genius! Did you ever trace something against a window? Same sort of concept. I first looked into a lightbox/tracebox but then I had an idea - I could use layout paper which is essentially tracing paper. So I bought a pad of layout paper and rather than taking the paper out of the pad, I would lift the top page and draw the pencil version on the second page, then I would put the first page back down and use masking tape to hold the two together, this way I could see the gridlines but I didn't have to rub anything out. This gave me perfectly crisp lines that could be easily scanned and given a little digital clean up. In all these images you can see the layout pencil version and the ink drawing. 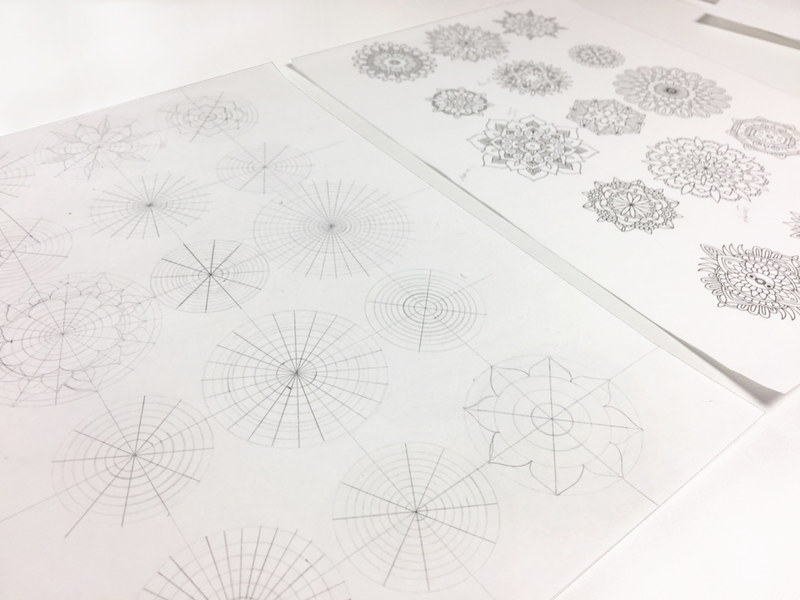 For some designs almost all of the design was drawn out first in pencil and for others it was more of a basic outline. 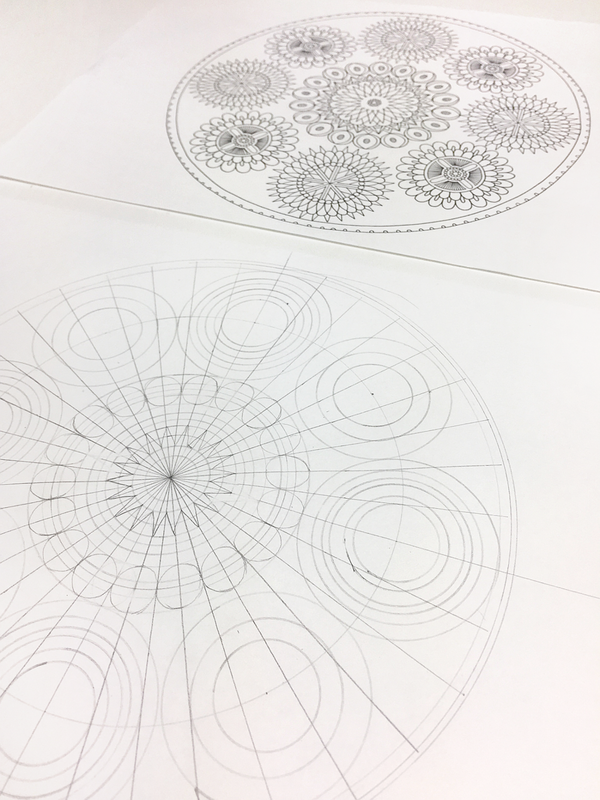 See above how I illustrated lots of little mandalas - I drew mini circular grids and then filled in all the details in ink. As is always the case I realised that this was another example of how you can create anything you put your mind to. It was a good opportunity for me to challenge myself on new methods and a new style of illustrating. I feel grateful to be part of a generation where we can find information at the click of a button, order products and get them the next day, use self-publishing tools (I used CreateSpace by Amazon) and create our own audience through social media, there are endless opportunities out there and there are endless ways of making it happen. It's been a long journey to get to the final product, a lot of self-doubt and a whole lot of versions, but I am so pleased I have created a BOOK! I think little Pav with all her self-confidence and big dreams always knew this day would come and I am glad as an adult I realised that dream... even if it did take me a while to get there! I think sometimes my blog probably ends up sounding like I am preaching or being overly emotional but I guess this is just a way for me to document how I am feeling at the time, and I hope you learn something along the way or at least enjoy the read. Thank you a million times if you read this blog entry, read my posts, read anything I write really, look at my work, leave me a comment, write me an email, anything and everything is appreciated. And if you do buy the book and colour in the illustrations THANK YOU more than ever for supporting my work, please send me your finished images I would love to see what you create. It's a wonderful thought that collaborations could be happening all over the world!